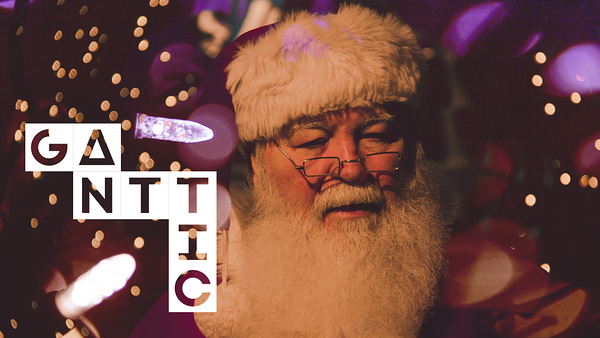 Since it’s that magical time of the year, we thought we'd go over our favorite employer, Santa Claus. We came up with 5 reasons it seems like he, as a large employer, should be using resource planning software. However, since Santa has been keeping his business pretty secretive, it's all based on assumptions. Firstly, every year, there’s a lot of fuzz over how can Santa deliver presents to all the kids around the world. There are the faithless people that say that it’s impossible to do. According to a source, there are about 2 billion children around the world. Since Santa does not visit Muslim, Hindu, Jewish and Buddhist children, he has to deliver presents to about 378 million children. Of course, there’s also the question of naughty or nice which, let’s say, should leave out about 25% of those remaining. Which means there really roughly about 283,5 million presents to be delivered. Here’s where the faithless say that he would have to travel 3,000 times the speed of sound which would mean he would be launched into outer space. Also, there’s the fact that there aren’t any known species of reindeer that could fly. There’s also the assumption that he is using the laws of chaos theory. Now, since we are not stupid, we know that Santa is, of course, using magic dust and defies the laws of physics. C'mon now, people, with your sciency stuff. So, without any further ado. Dear Santa! Here are the five reasons we think you should start using resource planning software if you don't already. Having so many resources without planning is just a mess. Santa Claus probably has over 140 000* elves working for him plus a large amount of staff that it takes to run a factory as big as his. That makes him one of the biggest employers in the world. Assigning tasks and making plans for that many resources would definitely indicate he must be using resource planning software. By the way, Santa, here's a guide for scheduling elves. While running multiple departments at once, it’s important to see the big picture. Santa has to be able to keep up with everything that’s going on without having to go into too much detail. Let’s say he has different departments for all the different kind of presents. One for dolls, one for stuffed animals, one for toy cars, one for electronics etc. With resource planning software like Ganttic, he can see his plans from different perspectives and with enough detail. Santa's business is probably one of the biggest deals in project portfolio management, and one just can't manage multiple projects at once without resource planning. Manufacturing can be made more efficient with resource planning. There must be a number of manufacturing lines and crafting stations going with full power at all times at Santa’s factory since he has to produce many different types of toys and other presents. Let’s say he has different departments for all the different kind of presents. One for dolls, one for stuffed animals, one for toy cars, one for electronics etc. If Santa would use resource planning, he could keep track of all of his machinery and guide his elves throughout the day at the same time. Every part of making a present is dependent on the other. Until the presents actually flop into Santa’s bag, there’s always something else to do until you can take the next step. Resource planning software would allow him to set task dependencies which would guide his team of elves through the manufacturing and packing process. This year, unlike Mariah Carry, all we want for Christmas is for Santa to have a good software for resource planning and project portfolio management. So that none of the kids would get the wrong present and none of the elves would be overworked. *If there are indeed 283,5 million good children in the world this year. Let’s say making one present takes about 1h, and elves work 8h a day. There were 251 working days this year. Which means that one elf could make 2008 presents during the year and thus Santa would need about 141 186 elves. BUT that’s only the case if none of them took any vacation or sick days. Scheduling resources is an important task and mustn’t, under any circumstance, be taken lightly. Scheduling elves is just as important.